Carrozzeria Bertone has crafted some gorgeous vehicles over the course of its long history. This somewhat obscure roadster is among the most beautiful of them. 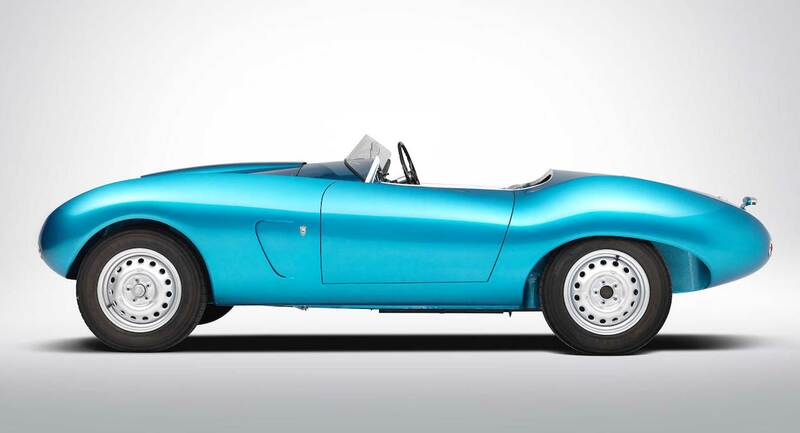 It’s a 1954 Arnolt-Bristol Bolide Roadster, one of only 130 made – and it’s coming up for auction. The brainchild of Chicago-based industrialist Stanley Harold Arnolt II, the classically proportioned sports car was built atop a Bristol chassis, with a BMW engine and bodywork designed by Franco Scaglione at Bertone. Arnolt wasn’t just a customer of the carrozzeria’s, but a part owner, too, and this was his second commission following a series of rebodied MG TDs. The pre-war engine design, most notably employed in the BMW 328, was unusually tall, but to our eyes, Scaglione packaged it beautifully, with a hood scoop and sharply creased front fenders. The deep metallic teal paintjob doesn’t hurt either, but only serves to augment what was already a beautiful design to start with. Chassis number 3033 pictured here is one of only a handful of the cars known to have survived. And glad we are for that, as well as the evidently painstaking restoration process that went into it. Bonhams will be auctioning it off to the highest bidder next month at its Zoute sale in Belgium, where the auctioneer expects it to sell for somewhere in the neighborhood of €360,000, or about $420k at current exchange rates. That’s a big chunk of change to most of us, but given its outstanding beauty and rarity, we’d say it’d be worth every penny. Next Next post: Le label Defender bientôt utilisé pour une gamme Land Rover ?